Ambleside dates back to pre-Roman times but it is the latter who put the spot on the map. During the Roman march north during the 1st century, a garrison established a fort called Galava at the northern end of Windermere, to protect the road through to the west coast and the important naval port of Ravenglass. Shortly after a civilian settlement began to develop and both continued to flourish until the 4th century. After the departure of the Romans, the local Romanised Celts carried on as normal for a while, but as order began to break down, largely due to skirmishes between warring factions and tribal feuds locals became embroiled in a great deal of disquiet and unrest… a period of history known as the ‘Dark Ages’. Things changed dramatically with the gradual arrival of the Norse in 9th and 10th centuries. It is they who gave the town its name, Á-mel-sǽtr, which literally translates pastures by the river. Viking rule led to a period of prosperity with farming a major part of the local economy. During Medieval times Ambleside came under the control of the monks of Furness Abbey, which saw the development of a thriving woollen industry centred around Stock Ghyll. This fast-flowing stream beck provided power for a number of fulling mills as well as several corn and flax mills. The town was granted a market charter in 1650, and Market Place became the commercial centre for agriculture and the wool trade. The old packhorse trail between Ambleside and Grasmere was the main route between the two towns, but in 1770 a turnpike road was finished (the modern A591) which meant horse-drawn stagecoaches, which regularly travelled between Keswick and Kendal (via Grasmere, Ambleside and Windermere). This opened the area up to a new kind of industry fuelled by the inability of the wealthy to undertake the Grand Tour and the Romantic Poets led by William Wordsworth – so began modern tourism, as artists, writers and poets started exploring the Lake District in the mid-18th century in search of the picturesque and sublime to aspects of nature. A number of high profile residents made a beeline for the town in the coming years, including Harriet Martineau, the notable writer, economist and political activist. Philanthropist Mary Louisa Armitt, who established the Library and Museum bearing her name to this day. Educationalist Charlotte Mason, after whom the University of Cumbria library and student resource centre in the town are named. More recently notable artist Kurt Schwitters, the Surrealist and Dada artist, who influenced the beginnings of Pop Art, had his studio in nearby Elterwater and lived in the town until his death. 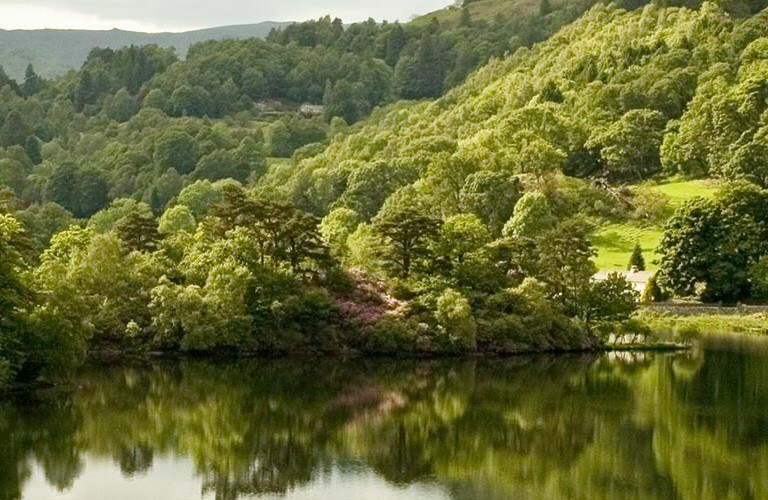 The Brathay Windermere Marathon and Half Marathon takes place each May, voted the UK’s most scenic marathon by readers of Runner’s World UK, it’s one not to miss! Ambleside Rush Bearing, which takes place each July and sees local children and residents process through the town, carrying wooden bearings decorated with flowers and rushes to the church. Ambleside Traditional Sports each July sees over three centuries of Lakeland traditions crammed into this unique sporting event – with Cumberland & Westmorland Wrestling, fell and guides races, hound trails, cycle and running track events and children’s races. LDSM International Festival in held annually at venues across the Lakes including Ambleside from late July until mid-August. Concert goers can enjoy a diverse and varied programme of music performed by internationally acclaimed musicians and ensembles.